John not Sir. What's wrong with Queen ? I am not sure you can posthumously knight some one, that could be reasoning. John my have returned the physical MBE but you can never truly return the honor thats why it is still in his official title. I am also not sure if it is totally up to the Queen. I know she didn't think MIck Jagger was a good candidate so they had Prince of Wales do it. I still don't understand how Mick was knighted most likely to sway public opinion of monarch. But I agree I think John deserves it. John’s gesture of returning his MBE medal (I think that is what he did, correct me if I’m wrong) was an act of defiance and rebellion; after all monarchy is the quintessential symbol of the Status Quo he was protesting against. He changed a classist society like Britain (the Old World) for the US (the New World), the country that had the first Revolution not just against the British rule but against the rule of monarchs. And probably he preferred to be called just “John”, not “Sir John”. 1. You cannot be posthumously knighted. That ends that. 2. In the U.S., there's a five-year wait between receiving a 'Green Card' and eligibility for citizenship. 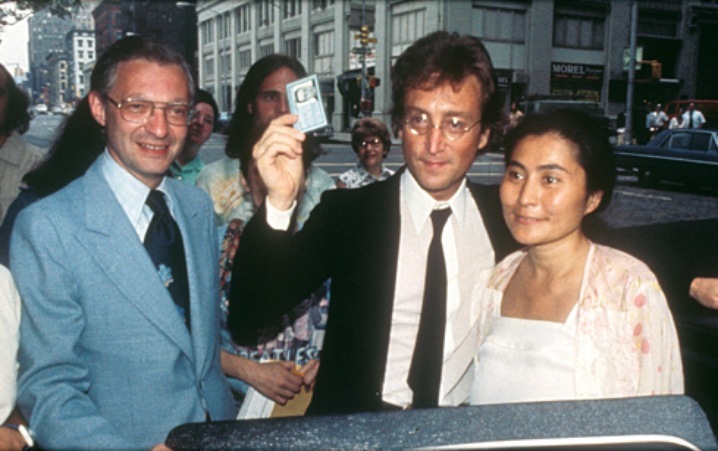 John was granted his Green Card in 1976. He was never a citizen. 3. The statement that Lennon's legacy is larger than McCartney's could be debated, and quite hotly! ~ someone said it, dammit. Of course. On here, I would expect nothing less. That was sort of a generalization; think about how it would go down at your local pub or any other sort of fan gathering. That was my thought. Queen is being stupid, whether you call him Sir or not he'll always be a Sir for me. Since you appear to be a Lennon fan, maybe you should seriously consider the fact that John probably wouldn't have wanted to have been knighted. And I, for one, am quite happy that he remains John... not Sir. No offense to Paul (seriously), but it's kinda uncool. Maybe you should use all that positive energy you have and try to get Ringo a knighthood. He really wants one, after all... and who'd have a problem with Sir Ringo?